A Rubik’s Cube is the most frustrating toy ever created. When it’s completed it has six sides, each side has it’s own color, and each color has nine pieces. The cube has an internal pivoting mechanism that allows you to move the pieces around. 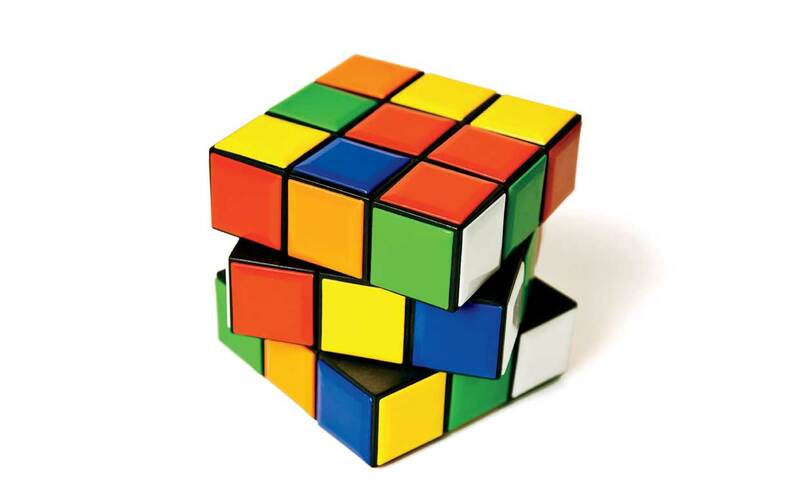 You jumble it up and try to get the cube back to the original form so that each side is a solid color again. It sounds easy. It’s not. The twenty-six pieces can be rearranged approximately 519 quintillion different ways. There are all kinds of formulas and mathematical tricks to complete the Rubik’s cube and it’s possible to learn how to solve it in under ten seconds, but most people will never complete a Rubik’s Cube unless they peel off the stickers and rearrange them. Some people call it cheating; I call it thinking outside the box. Besides, I don’t have the patience to finish one, I just want people to think I do.